I came upon this interesting story where Mitsubishi Motors in the UK has become the first vehicle manufacturer to have a group of apprentice vehicle technicians complete an End-Point Assessment (EPA) skills task for the new Light Vehicle Technician Standard. The End-Point Assessment (EPA) was carried out at the Mitsubishi Training Academy in Cirencester, scrutineered by members of the IMI and overseen by independent technical assessors. The EPA took place over a two day period and involved the apprentices completing seven technical challenges within a total of 12 hours diagnostic and repair time, all under close observation. Tony Lawson, End-Point Assessment Manager, IMI, said: “The IMI has been working closely with the Mitsubishi Motors in the UK apprenticeship management staff and the team from the apprentice training provider ProVQ over the past twelve months to introduce the Automotive Retail Motor Vehicle Service & Maintenance Technician (Light Vehicle) Standard. The Mitsubishi Training Academy is based at the company’s head office with the majority of training courses for the UK dealer network being held on-site. 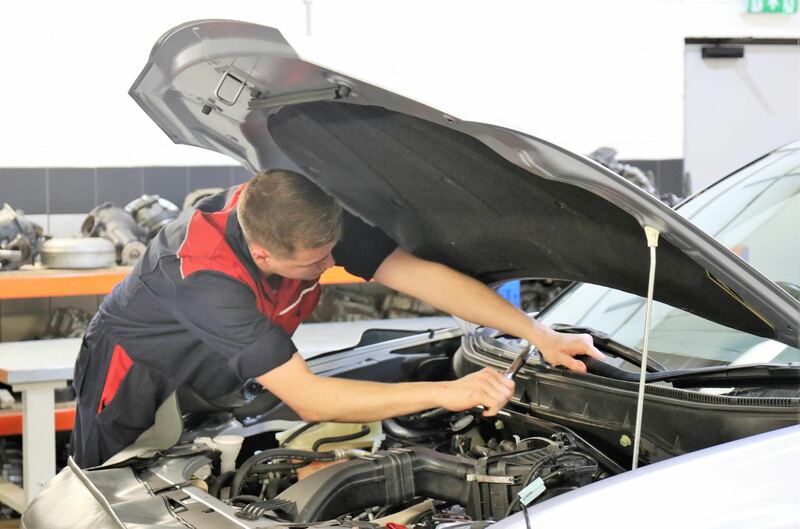 There are currently 45 apprentices enrolled across the various year groups, who on passing will all receive nationally recognised qualifications to IMI standards as well as learning functional skills and Mitsubishi specialist qualifications.